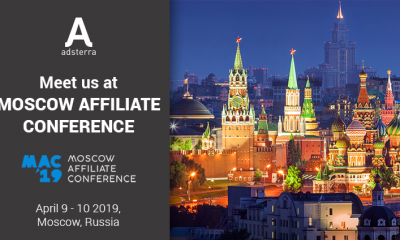 Adsterra team is eager to meet you at Moscow Affiliate Conference! 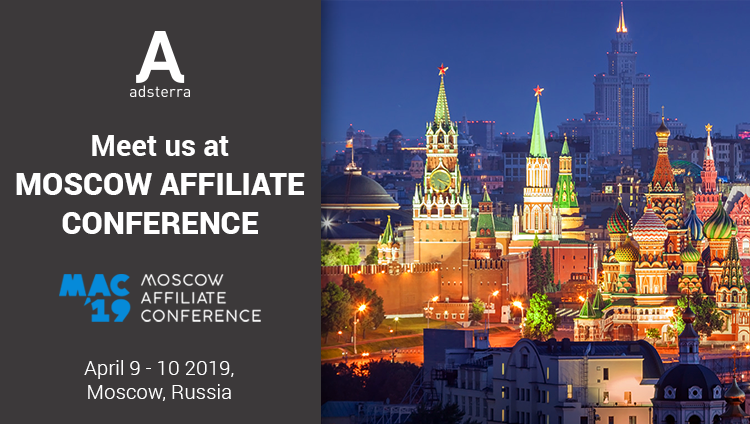 MAC 2019 gathers leading affiliate networks and top affiliates at Moscow, Russia from 9 till 10 of April. This year the conference hosts 3000 attendees, among which there are 250 companies. You have an opportunity to learn the best practices from 30 speakers covering the hottest topics of analysis, best practices to work with offers, mediabuying, monetization and many more. 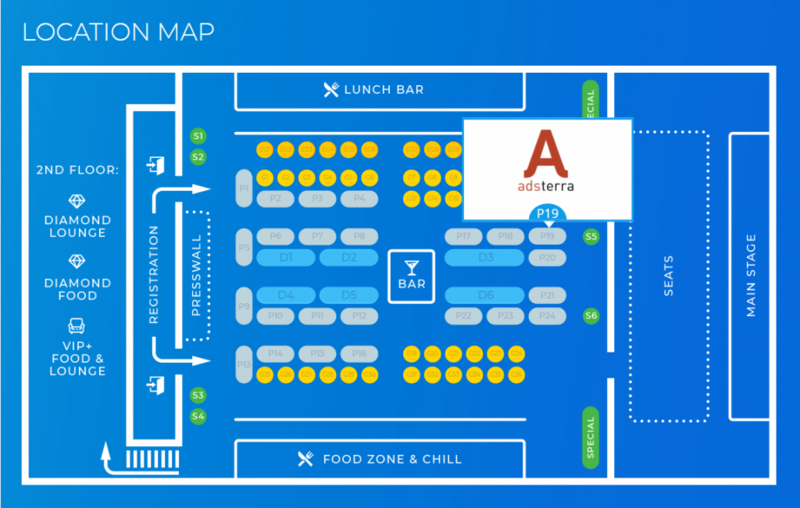 Adsterra team will be waiting for you at Booth P19. We are looking forward to telling you more about the most recent updates and how it can boost your earnings with Adsterra! Seize an opportunity to meet Adsterra team in person to talk business. Come by to Booth P19! Schedule your meeting today and meet us at Moscow Affiliate Conference!